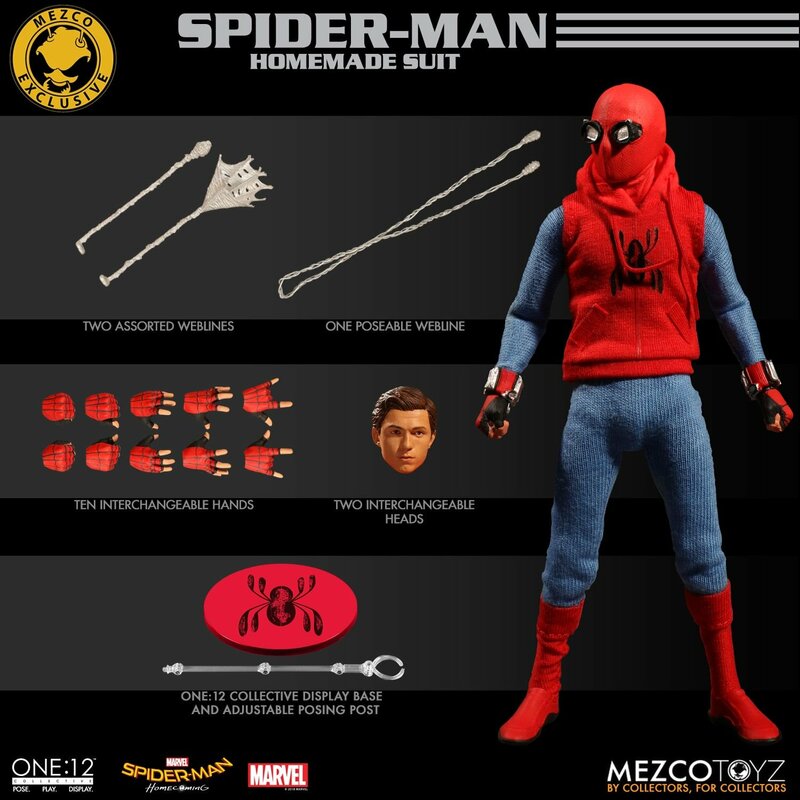 Mezco presents the One:12 Collective Spider-Man: Homecoming – Homemade Suit Edition. This figure captures Peter Parker in the early stages of his newfound heroism and includes both a masked and unmasked head, featuring the likeness Tom Holland. The web-slinger is outfitted in a body suit, a hooded vest with functional drawstrings and spider insignia, as well as web shooters affixed to both wrists. Spider-Man comes complete with two different style weblines that attach to his web-shooting hands and a posable webline that he can hold. The One:12 Collective Spider-Man: Homecoming – Homemade Suit Edition is currently available for pre-order priced at $85. It is slated for release between December and February 2019. Each One:12 Collective Spider-Man: Homecoming – Homemade Suit Edition figure is packaged in a collector friendly box, designed with collectors in mind.